It’s always hoot o’clock somewhere. Wine flies when you’re having fun. A bird in the hand is worth two wines in the glass. Isn’t that how all those sayings go? Oh well, who cares? It’s Friday! 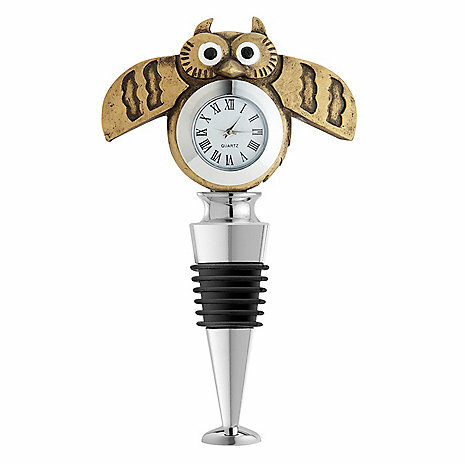 Check out this Owl Clock Wine Stopper. The little guy sits atop your bottle of wine and keeps track of the proceedings with his working clock. Don’t worry, though, if things get too feisty, he can always turn his head (270 degrees) away. Tubes worked for the internet: why not cereal too?